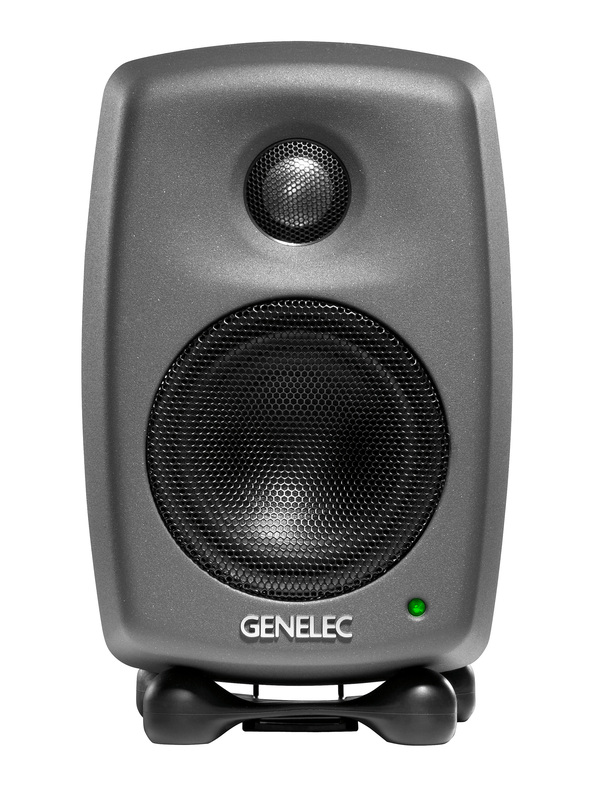 NATICK, MA, July 14, 2014 — Genelec, the world’s pioneer in active monitoring, is now shipping the 8010 Active Monitor, the smallest member of the acclaimed 8000 product range. The 8000 Series is widely used in the high-end professional audio, mastering, post-production and broadcast market sectors around the world. Its professional heritage is reflected in the compact-sized 8010. Suitable for professional work in small studios, it offers accurate monitoring capability with ease of installation. The outstanding sound quality makes the 8010 ideal for small editorial studios and OB vans, and a perfect companion for portable recording devices and other mobile production work. Featuring a balanced XLR input, 3-inch bass driver, 3/4-inch tweeter and efficient Class D power amplifiers – one for each driver – the 8010 produces more sound pressure level than might be expected from a monitor of this size. The Intelligent Signal Sensing ISS circuitry saves energy by automatically putting the monitor to sleep when the audio signal has been absent for a period of time. Once a signal is detected again, the monitor wakes up automatically. This circuitry can be bypassed when the automatic standby function is not desired. A full range of versatile accessories is available for the 8010, which cover all mounting needs. For example, an elegant L-shaped table stand can be used to optimize monitor orientation toward the listening position and to minimize undesired sound reflections. Thanks to its exceptional sound quality, small size and universal power supply, 8010 is the perfect monitor companion for music production professionals on the move. The 8010 Active Monitor is now available at a U.S. MSRP of $440.00 each.